Now registering volunteers to help stock fish in area streams, lakes and ponds with an estimated 70,000 trout. Volunteers need to be 18 years of age or older, able to lift 50 lbs, dressed for the weather, rain or shine and commit for the entire day. Live the life of a hatchery aide. Feed fish; take sample counts to determine fish size, clean ponds, repair nets, aerators, and feeders. Daily – Monday - Friday 8:00 am – 12:00. Maximum two people per day. 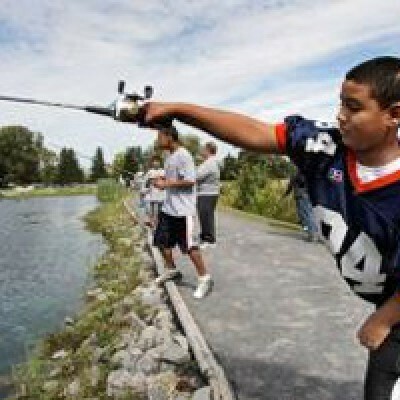 Volunteers are needed to run the hatchery Time Out to Fish Program. The program involves helping persons with disabilities and seniors to bait hooks, cast and reel in the big ones. First Week in June - End of July. Tues. – Thurs. 8:00 am -12:00 or 1:00pm – 4:00 pm. No experience required and all positions require advanced registration. Email or call the hatchery at (315) 689-9367, 8:30 am – 12:30 pm Monday – Friday. If there isn’t an answer, leave a message and someone will get back to you within 24 hours.